For the past ten years I have worked, until recently, in the domestic violence field. Although I no longer work in the movement, I still feel strongly about getting those affected by domestic violence the help they need. When I was asked if I would like to be part of the Allstate Foundation’s Purple Purse campaign as part of Domestic Violence Awareness Month, I jumped at the chance. The campaign is a way to urge people to openly talk about domestic violence. Domestic violence affects one in four women in their lifetime – that’s more women than breast cancer, ovarian cancer and lung cancer combined. A majority of Americans agree that domestic violence is tough to talk about. More than one-third of Americans have never discussed the issue with family or friends and the Purple Purse campaign provides a conversation starter. Lacking financial knowledge and resources is the number one indicator of whether a domestic violence victim will stay, leave or return to an abusive relationship. Domestic violence is an issue that impacts millions, but few talk about it. The Purple Purse campaign helps people carry on conversations and pass information about domestic violence and financial abuse by placing the power directly into people’s hands with a purple purse. A purse represents the center of a woman’s financial domain and the virtual purse above will be passed across the country and will spark important conversations about domestic violence and empower those impacted by it to start talking about the issue. Through the code above, you have a chance to help. Encourage your family and friends to help “Pass the Purse” by going to www.purplepurse.com and entering the virtual purse code 0003 and your zip code into the map. 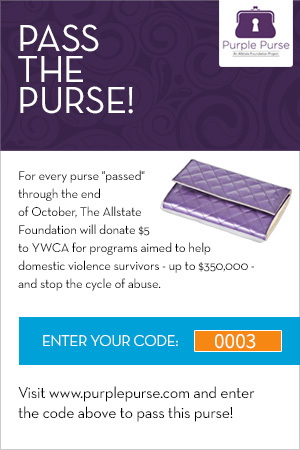 For every purple purse passed through the end of October, The Allstate Foundation will donate $5 to the YWCA for programs that support victims of domestic violence and build financial empowerment. The Allstate Foundation will give up to $350,000 for programs aimed to help domestic violence survivors and stop the cycle of abuse. Visit Facebook or PurplePurse.com for more information. If you know someone who may be in an abusive relationship but don’t know how to help, start by sharing a virtual purse with your friends and family. Domestic Violence Awareness Month is a great opportunity to share this information as part of a national campaign so your friend does not feel like you are targeting them. 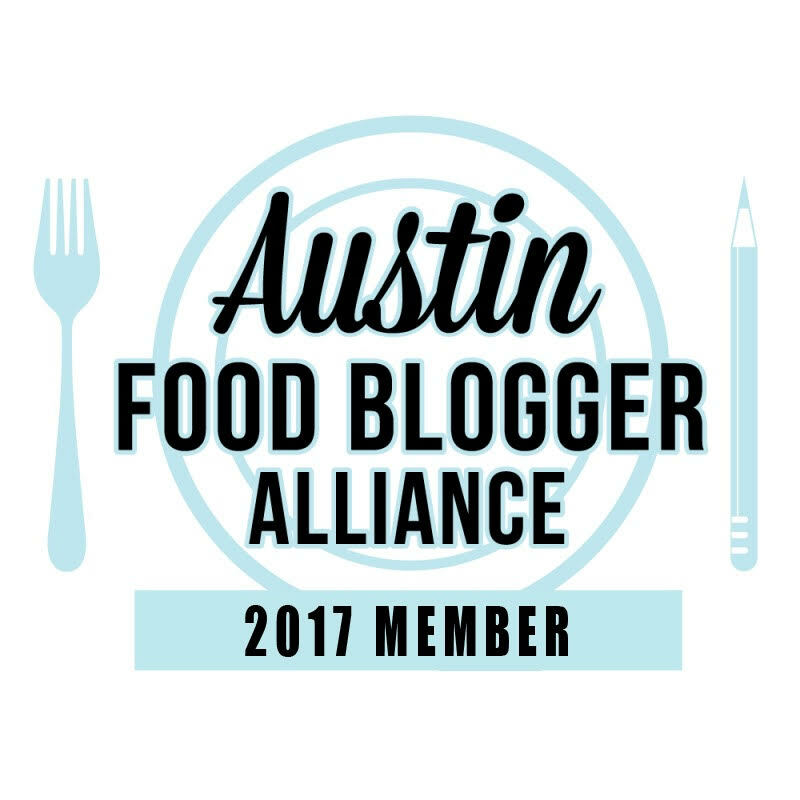 Last year Kim Wells had a great blog post on how to have the conversation during the holidays – you can use these tips any time you fear for someone’s safety. Now, you know I had to also leave you with a recipe – so why not one for a “purse”. These little bites of deliciousness are so tasty and creamy. 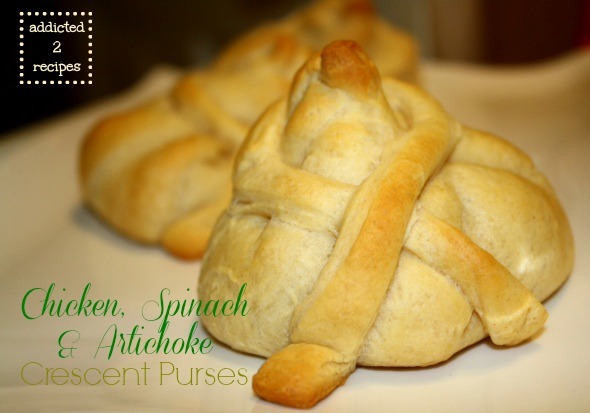 They resemble a chicken pot pie but with my favorite accompaniment to chicken – spinach and artichokes. If I would have had some Parmesan cheese available, I would have added it as well. The kids loved these little purses, although I didn’t tell them what was in it until after they had a few bites and were hooked. Do yourself a favor and try these purses. In a medium bowl, add melted butter and cream cheese together. Cream together until combined. Add chicken, artichoke hearts, spinach and cream of chicken to butter mixture. Mix together to combine. 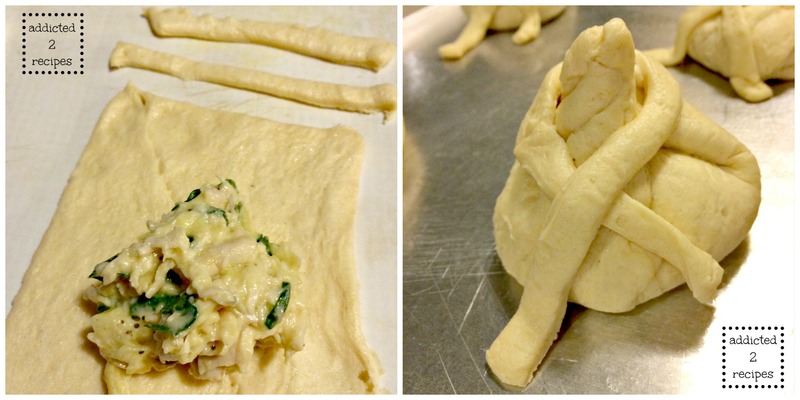 Unroll the crescent rolls. Cut into four rectangles. For the awareness ribbons, cut two strips from each rectangle and pinch ends together to form a long strip. Pinch seams together on the rectangles so there are no perforated lines across the rectangle. Add a dollop of the chicken mixture on the center of each rectangle. Gather the ends to form a “purse”. Place the ribbons around the purses. Spray a cookie sheet with Pam spray. Place purses on the cookie sheet, place in the oven and bake for 13-15 minutes.